Quilting Adventures: Houston Fall Market 2013 ... day 4! So, it's Sunday morning and I'm ready to hit Market again. First one was Kathy Schmitz Studio ... I just love her work. Check out that table topper BOM I was telling you about in a prior post! Tempting! Kathy is so sweet. I had a wonderful chat with her. Lynn Hagmeier from Kansas Troubles Quilters. 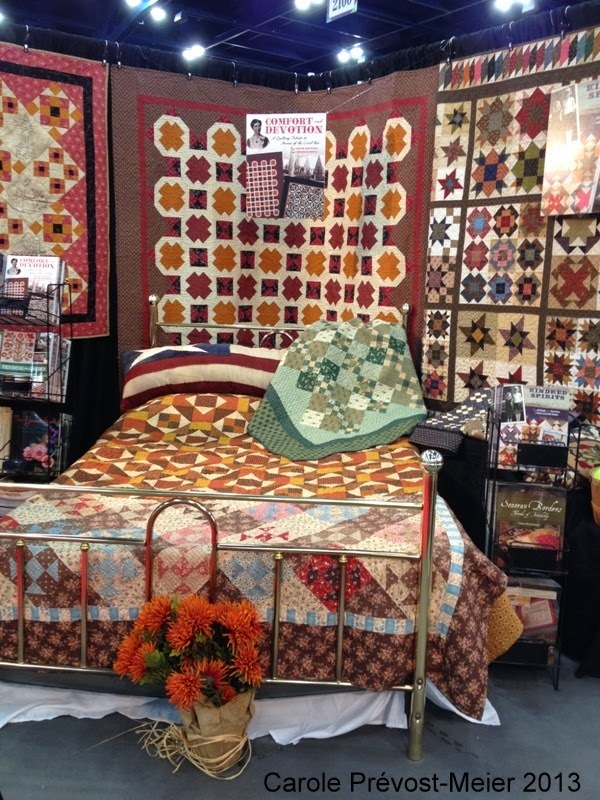 Joanna from Fig Tree Quilts. 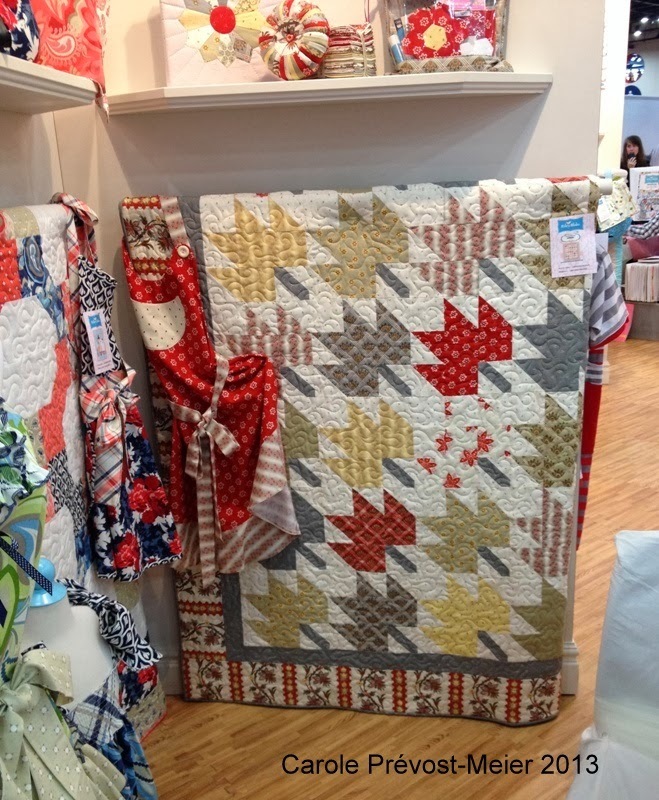 Such lovely quilts ... and fabric lines! 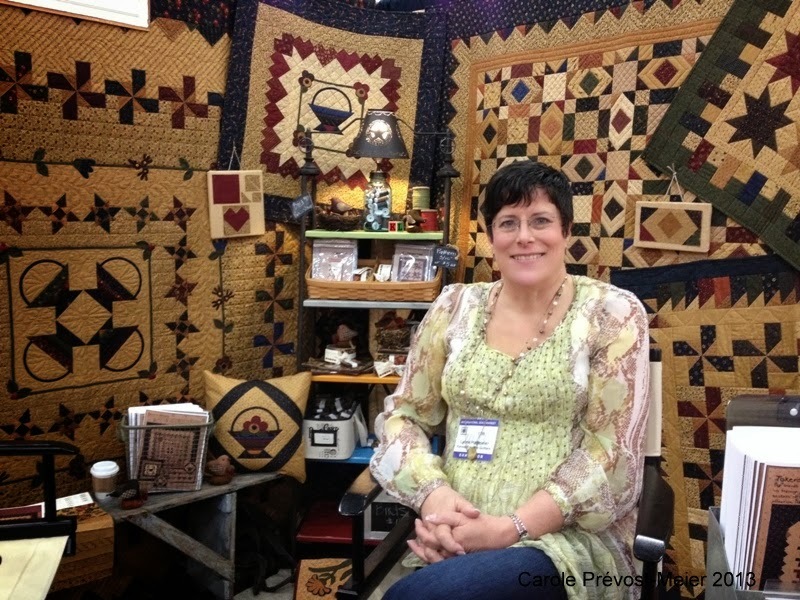 Such lovely projects! Gosh, it really makes you think you can do it all! Riley Blake Designs .... that's a quilt made with Sue Daley's new fabric line French Courtyard Cottons. Speaking of which, I had an opportunity to meet with Sue Daley. 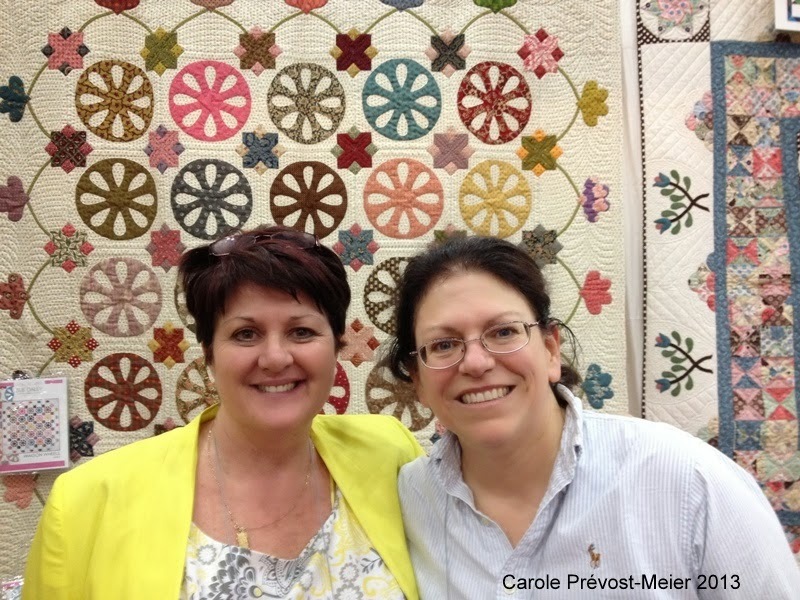 Isn't that a gorgeous quilt behind us? Yea, I bought the pattern .... How could I resist? Thanks for stopping by! One more day left ..... Cheers! Haha -- all those margaritas -- that's 'cause you were hanging out with Ms. Red LOL! 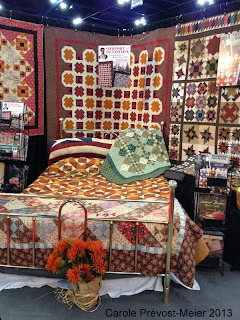 More great pictures -- I love Sue Daley too -- she has some amazing quilts! More fun booths and I think I could use one of those. 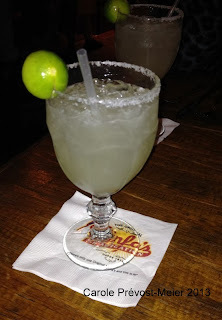 Maybe that is my problem, I can't drink with my allergies, but would be nice to numb the brain once in a while, lol.